We believe that great animal rescue organizations are judged not just by the scale of the work that they do, but by the impact that work has on the lives of the animals they rescue. The great work we do across the world in supporting bat rescue is only possible through the generosity of supporters like you. We’re so appreciative that you entrust us to carry out this mission that is dear to both of us. Please complete the form below to make a secure donation. To continue your generosity, you have the option to join our Sunshine Bat Rescue Club, which celebrates our work rescuing bats on a daily basis – ever since our first in 1988: Sunshine! Thank you for your donation! Please consider joining our Sunshine Bat Rescue Club and celebrate our great work on a daily basis! 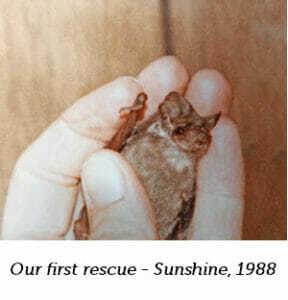 Sunshine was the first bat we rescued in 1988 and the inspiration for Bat World Sanctuary. By joining this club, you'll pledge to donate $0.88 each time we support the rescue of a bat. We use the Rescue Log (http://batworld.org/rescue-log/) as the “official” counter. We'll share our great work with you on a monthly basis! Sign me up! 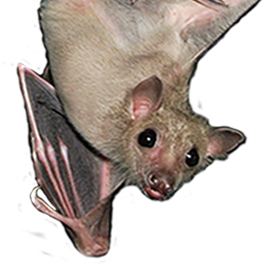 You'll celebrate our work on a daily basis by making a $0.88 pledge for each bat we rescue. I want to make a one-time donation only at this time. If would like to place a maximum on the amount you are willing to donate in a month, please enter that here.